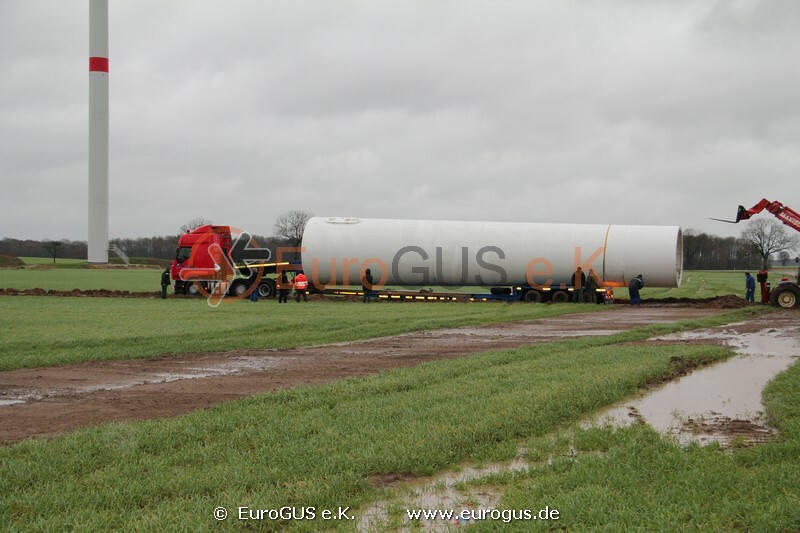 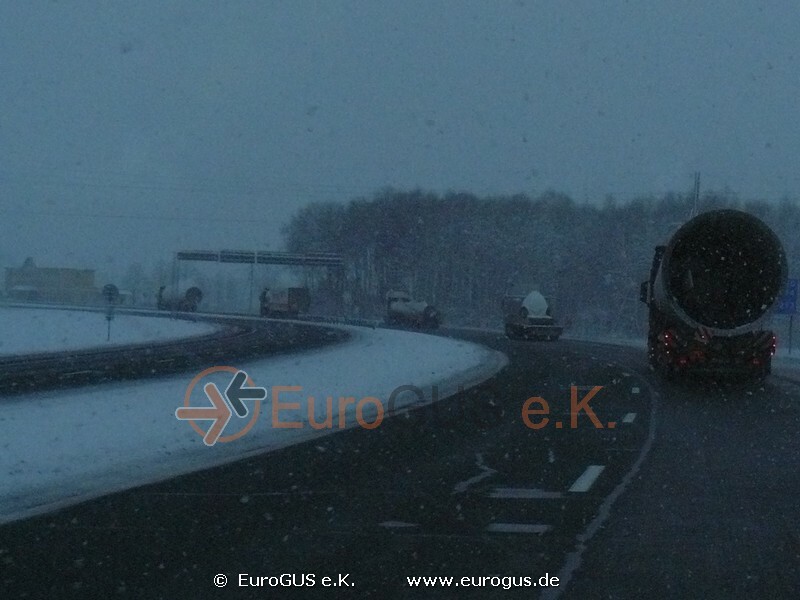 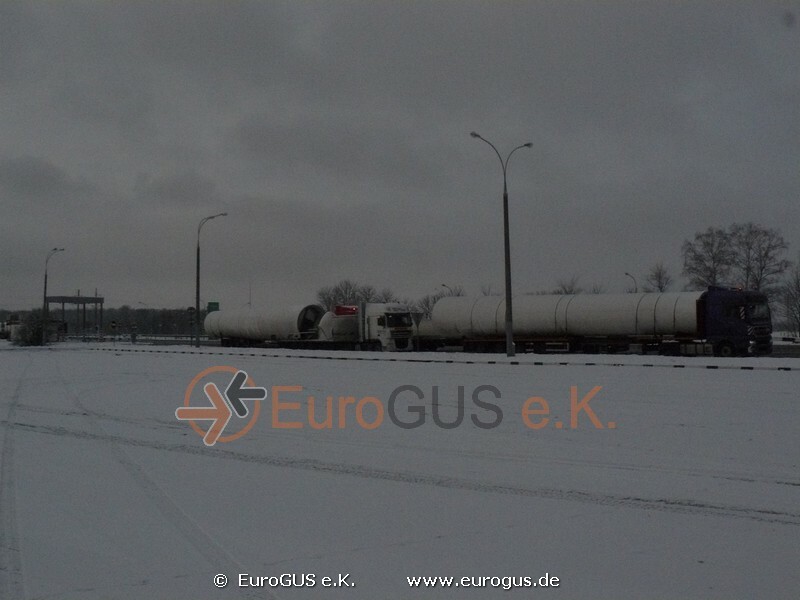 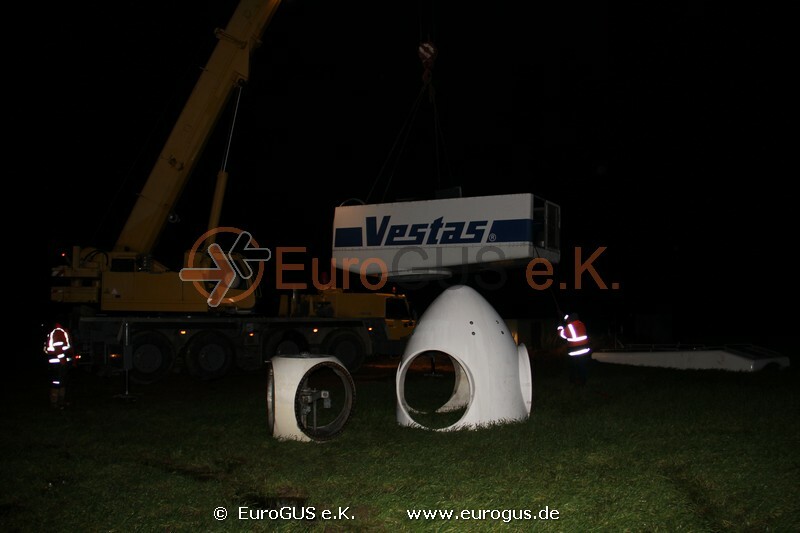 At Christmas 2014, we transported a wind turbine Vestas V44 — 600 kW from Kletzin, Germany to Belarus. 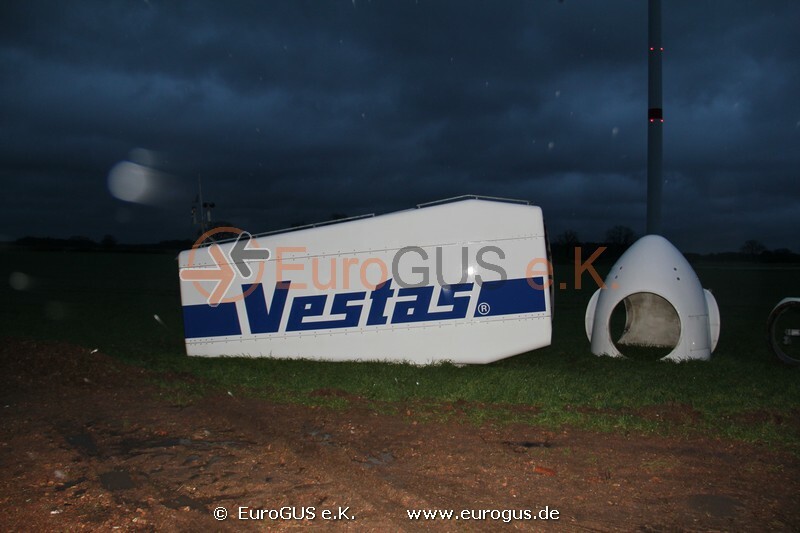 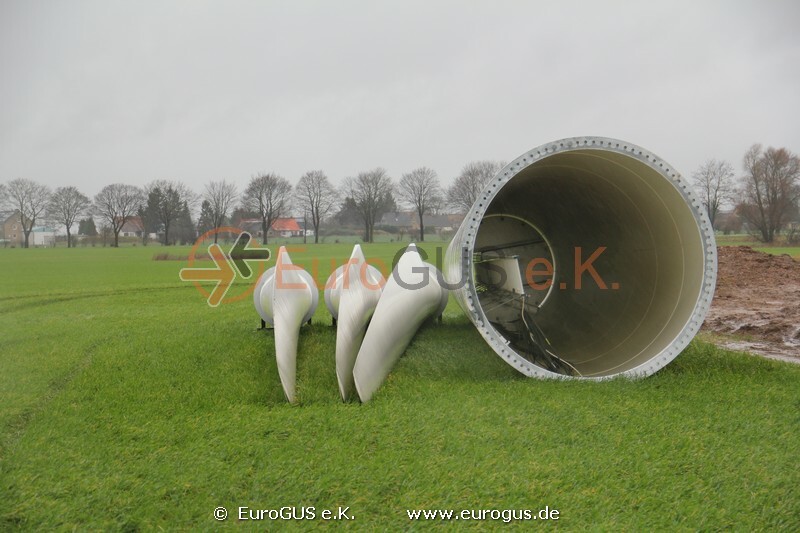 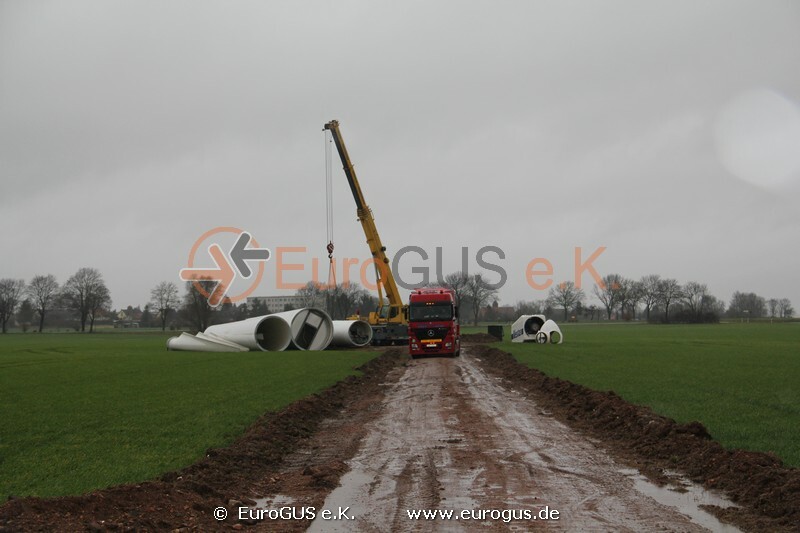 The loading was done on December, 22 2014 by wind and rain in a wind park in Mecklenburg-Western Pomerania. 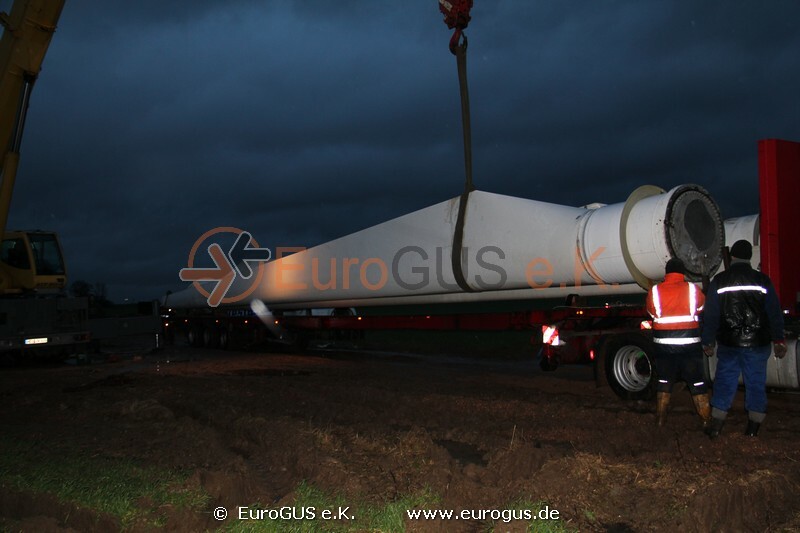 Due to the difficult weather conditions, the loading took some more time than usual. 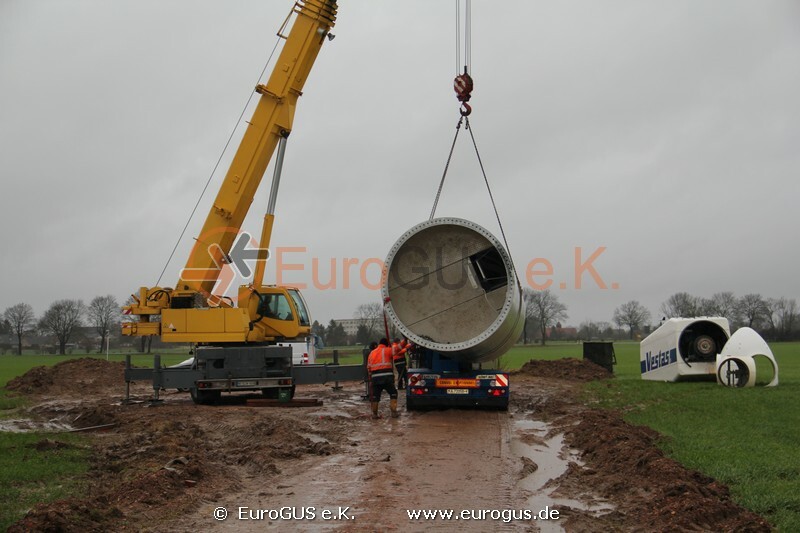 The great commitment of the crane workers, supporters and truck drivers has to be emphasized. 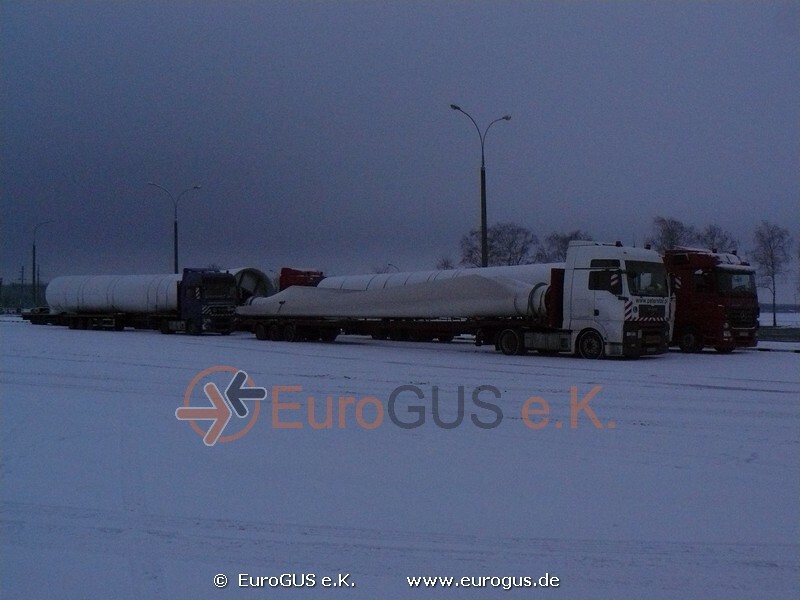 After wind and rain, the wind turbine Vestas had to face snow in Belarus, meaning no problem to our experienced drivers. 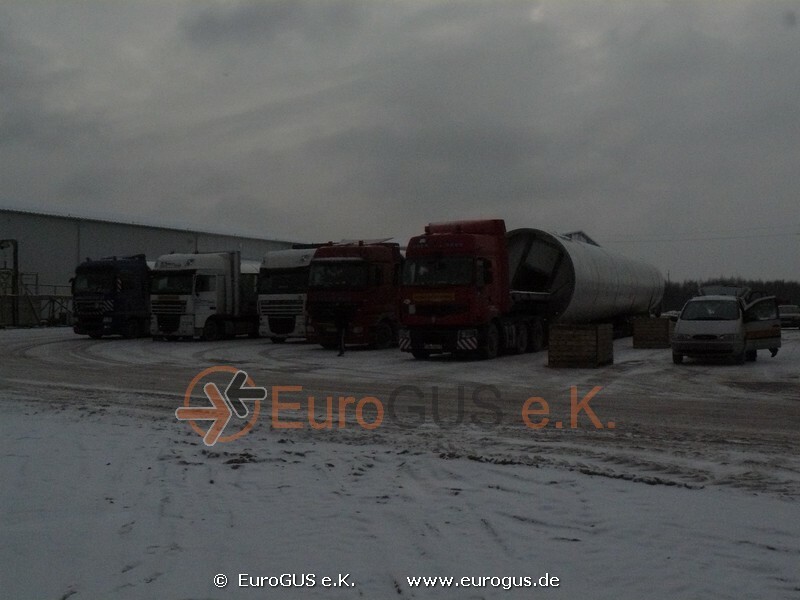 The recipient in Belarus cared about the establishment of a temporary customs office at the place of unloading. 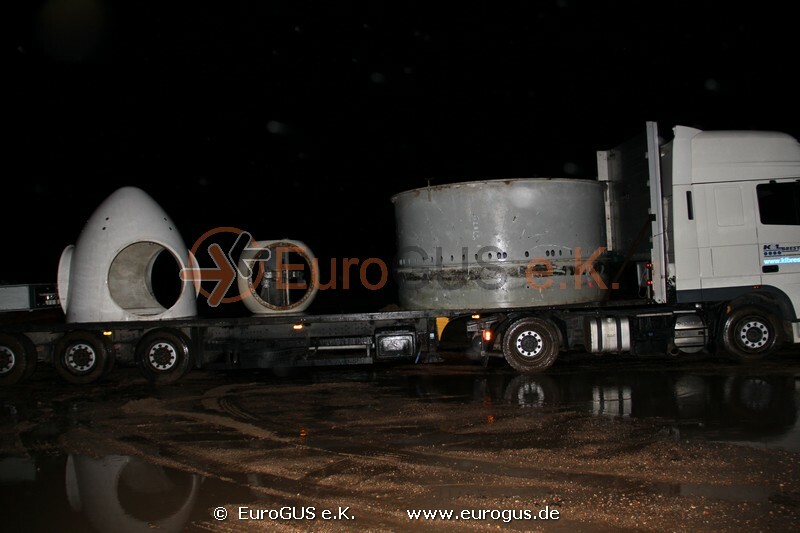 So the trucks could directly drive to their final destination instead of stopping at the customs warehouse. 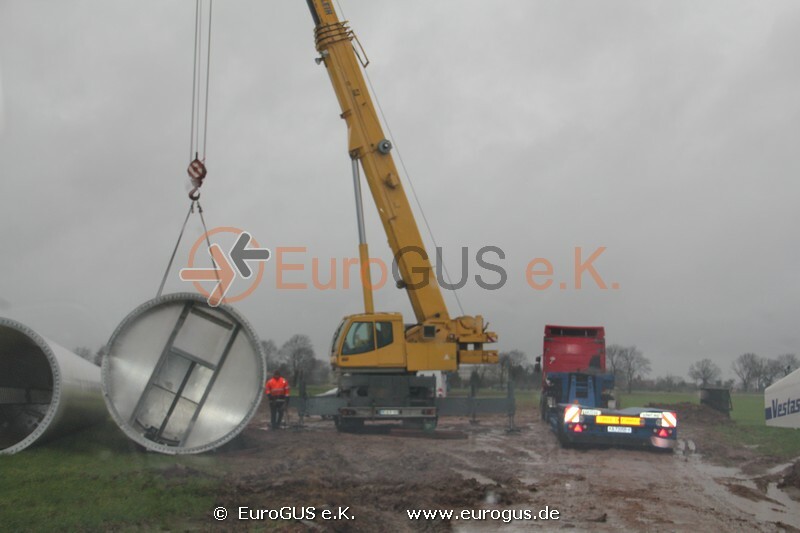 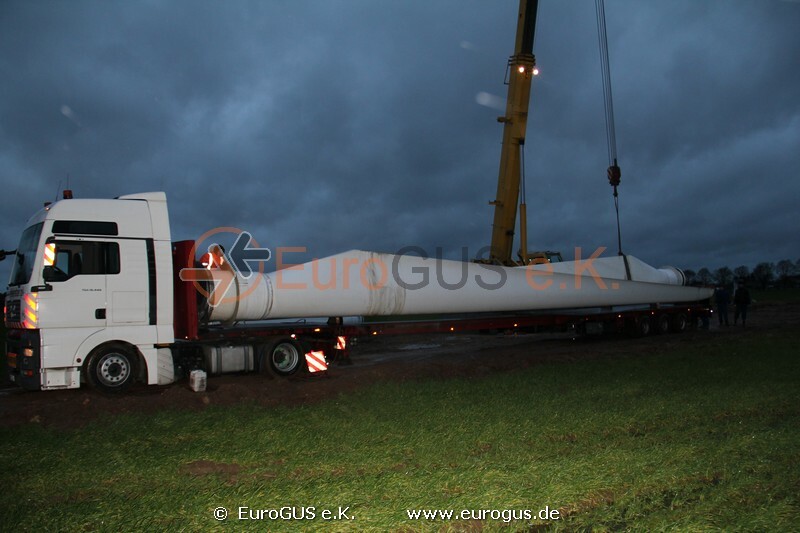 The delivery of the wind turbine from Germany proceeded safely and in time, the unloading was done on December, 29 2014. 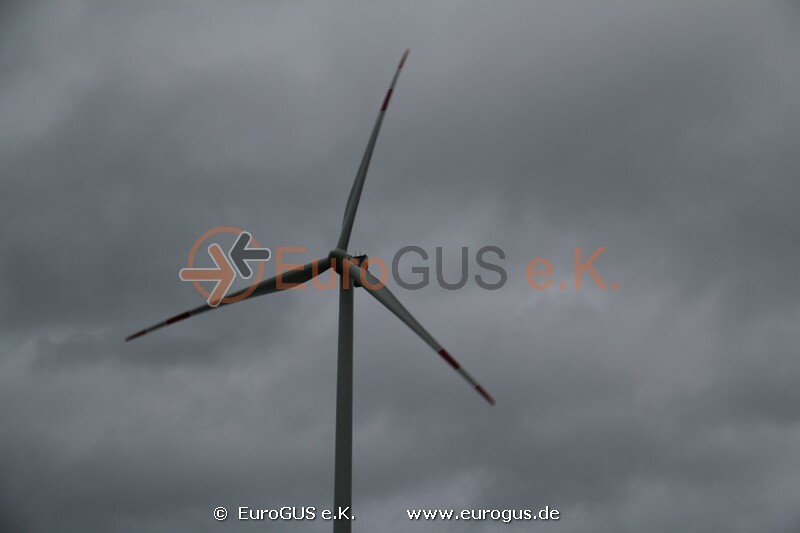 Till 2020, Belarus is intending to increase the usage of domestic renewable energies up to 32 percent. 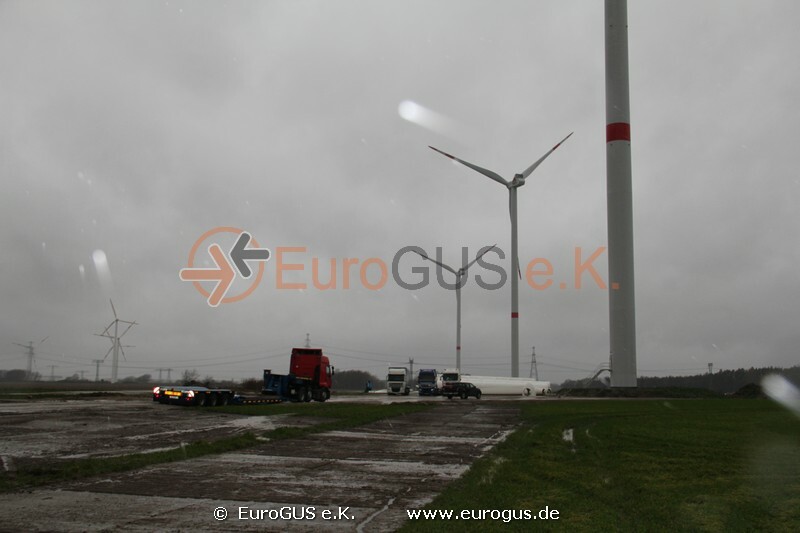 The reason is to easier match upcoming climate protection requirements. 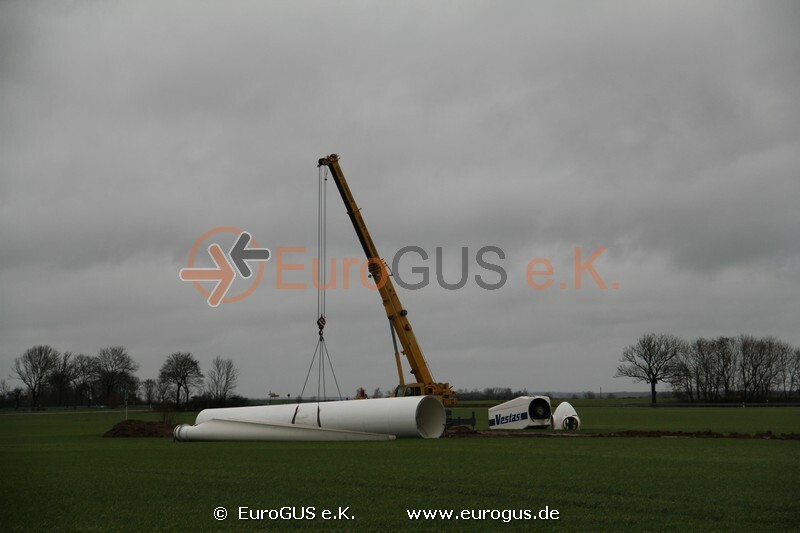 By using the existing wind energy, biogas, wood and solid biomass, such as straw or peat, the ambitious goal seems to be reachable. 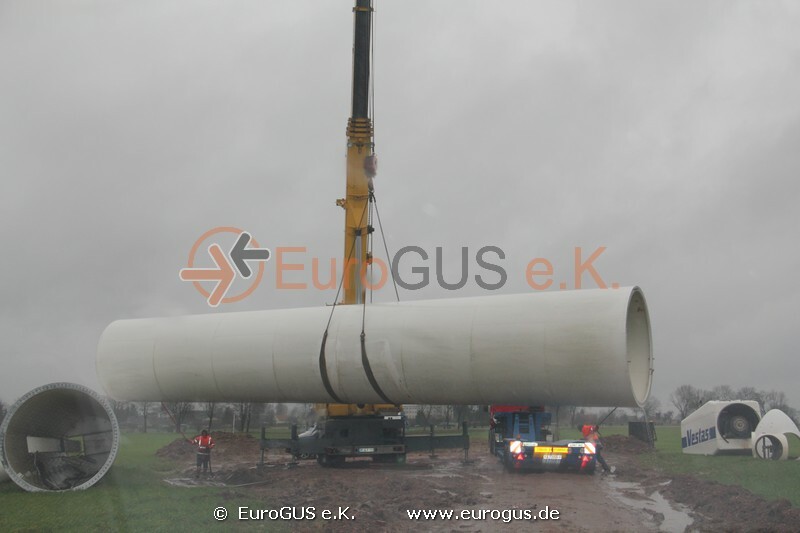 Of course wind energy enterprises are in need of experienced logistics partners for planning and realization of gigantic construction projects in the field of renewable energy. 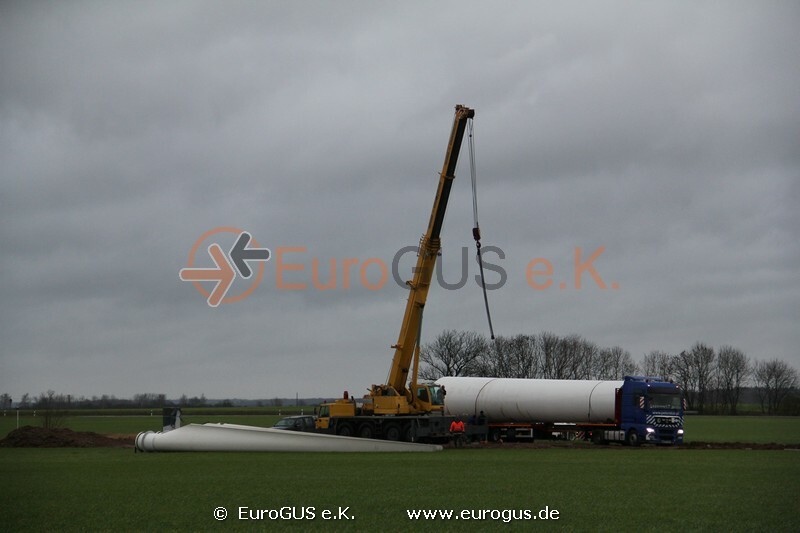 The construction of wind turbines often uses German plants and components that have to be transported over large distances. 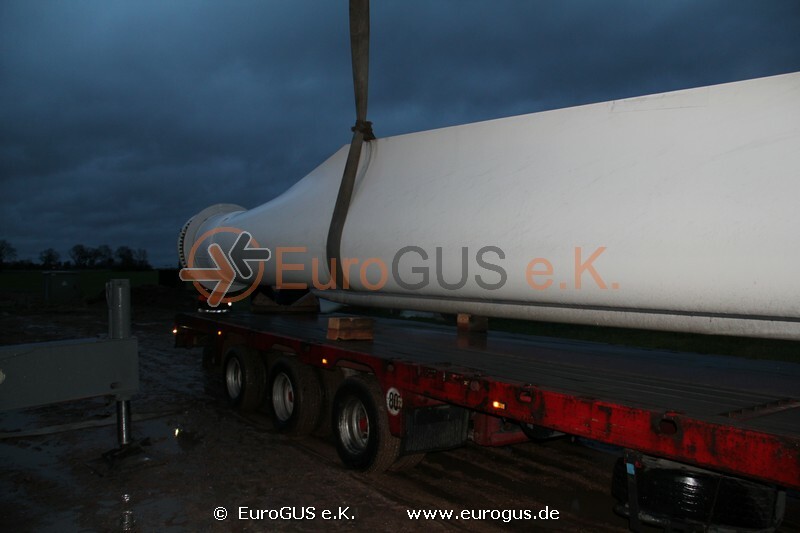 The wind turbine transport to Belarus can only be done by an experienced logistics specialist. 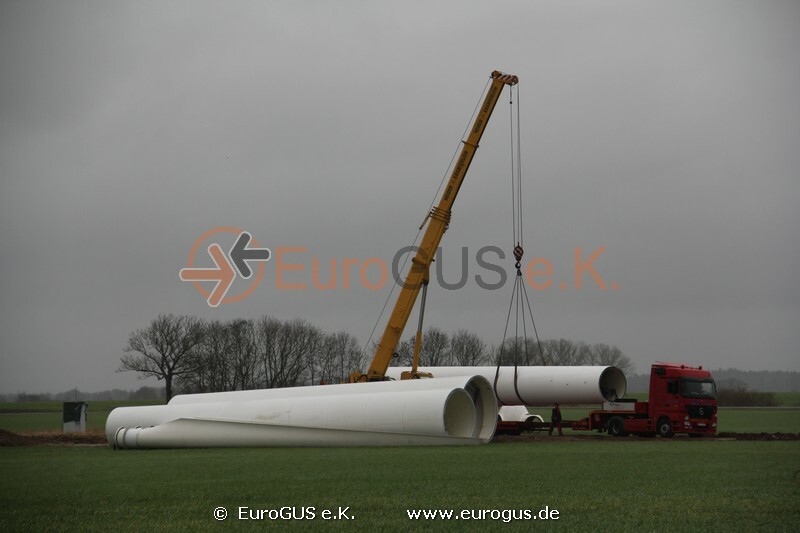 Besides the actual transport of long rotor blades, heavy machine parts and individual parts, the special provisions for passaging transit countries are of a high importance. 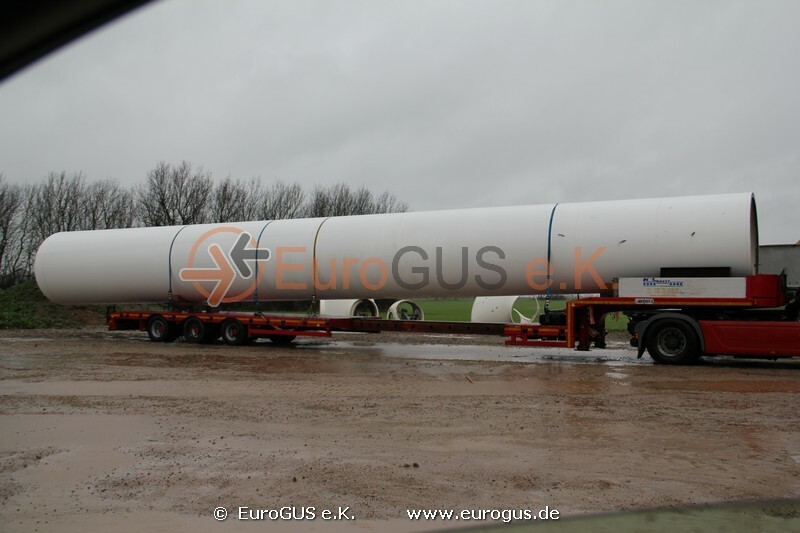 Only a logistics expert is able to provide this complex transport service at an acceptable price-performance ratio.